What exactly is going on with Justin Bieber and Baskin Champion? 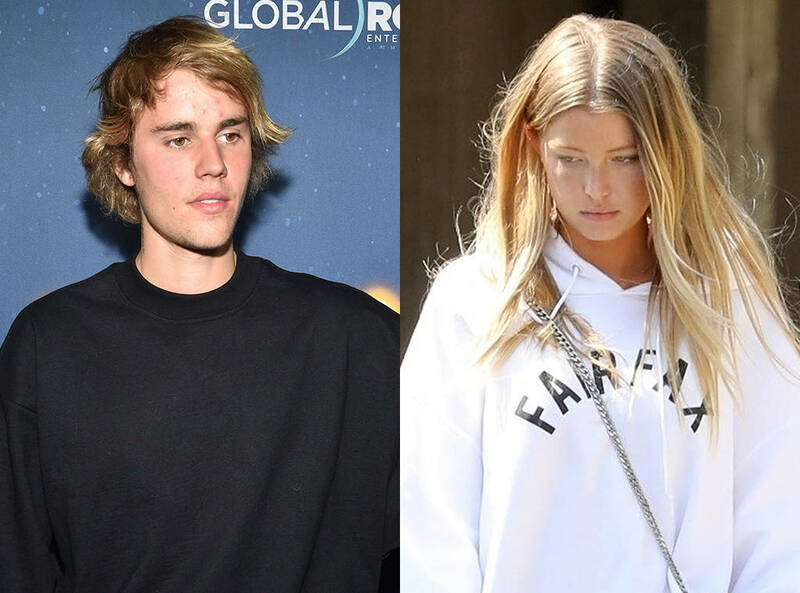 That's the question more than a few Beliebers are asking after the pair was spotted kicking off the weekend together in Beverly Hills. We learned Baskin spent several hours at Justin's house this afternoon. "They spent the day inside and she arrived on her own," an eyewitness shared . "Justin was waiting at home for her. After spending the afternoon together, they both left the house within a few minutes of each other in separate cars." While photographers didn't catch a good luck at Justin, they did spy Abby wearing an oversized Fairfax sweatshirt with gray capri pants. She completed her look with Vans sneakers and a cross body handbag. Perhaps this is just two friends hanging out on a Friday. But for other fans, they are left wondering just how friendly this twosome is. Earlier in the week, both Justin and Baskin attended Craig David's concert at The Roxy in Los Angeles. They also supported Patrick Schwarzenegger—who is dating Baskin's sister Abby Champion—at the Los Angeles premiere of Midnight Sun. And before you call these two Hollywood's hot new couple, one source says it's just not the case. Instead, the "Beauty and a Beat" singer remains focused on fixing things with Selena Gomez. "Justin has been upset about the recent break from Selena and is trying to keep busy until they work things out," an insider previously shared with us. "Justin was introduced to Baskin through his friend group and they have only hung out a few times." Our source added, "He has definitely been liking her company, but to say they are dating is a huge stretch. Justin isn't trying to be serious with anyone but Selena."